Art Amok, 2nd & 4th Fridays,every-artist open mic, themed verbal art & poetry slams. Art Amok! Poetry Slam, founded in 2006 is one of Atlanta’s two poetry slam venues. 753 Cherokee Ave., SE Atlanta. 404-889-0383. $5. Numerous storytelling programs for children available throughout the county. Atlanta History Center, 130 W. Paces Ferry Rd./ Atlanta 30305, 404-814-4000, www.atlantahistorycenter.com Tickets Required. Callanwolde Fine Arts Center, 980 Briarcliff Rd. NE, Atlanta 30306, 404-872-5338, http://www.callanwolde.org/events. A live monthly event (4th Tuesday of each month) of raconteuring, true personal stories told without notes, in which the audience performs, and performers are the audience. Manuel’s Tavern, 602 N. Highland Ave. NE, Atlanta 30307, 404-525-3447. 3rd Thursday of every month, 7:30 p.m.–Cliterati Open No Mic: Charis and Cliterati pair up to present an inviting and fierce open mic & reading series. 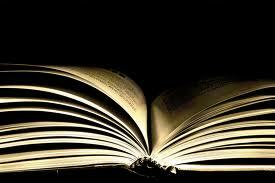 Check this FB page for monthly open Mic Night, at the Eatonton Putnam County Library. Readings will start at 6:30. Refreshments served. Email gwmdirector@gmail.com for more information. Java Monkey, 425 Church St., Decatur 30030, 404-378-5002. Open mic poetry readings, hosted by Kodac Harrison. https://www.facebook.com/pages/Kodac-Harrison/316523940936?fref=ts . 8 p.m., signup @ 7:30. Also monthly poetry slams. Story Time: Tuesday at 11 a.m., Thursday at 7 p.m., Sunday at 3 p.m. See Author Signings Page for More Children’s Events. Southern Order of Storytellers, c/o Callanwolde Fine Arts Center, 980 Briarcliff Rd. NE, Atlanta 30306, http://southernorderofstorytellers.org/. Ongoing events: Southern Order of Storytellers/ P.O. Box 16882/ Atlanta 30321/ 678-824-4486. Stories on the Square is a monthly, open mic, personal storytelling performance. Currently are two locations. If you are interested in forming a Stories on the Square in your area, contact Shannon McNeal at 404-855-6611 or shannonmcneal@att.net. Hosted by Mike Mount and Denise DesSoye Mount. ***If you would like to practice a longer story in front of an audience, let the hosts know so they can schedule it and spread the word! 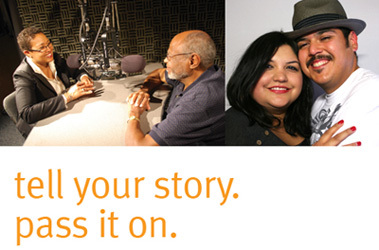 StoryCorps Atlanta. Atlanta History Center, McElreath Hall, 130 W. Paces Ferry Rd. NW 30305. Storytelling Saturdays at 1 pm–The Wren’s Nest offers storytelling on Saturdays at 1 pm and by appointment throughout the week.